Switch between human and ghost forms to navigate and explore the environment. Delve into graves to speak with the deceased. Reflect during a silent journey in the night. 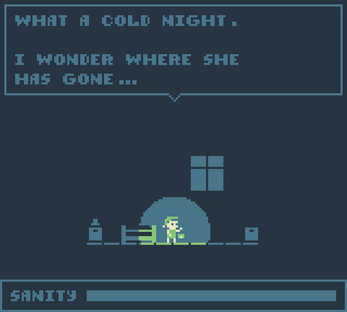 A game originally created for GBJAM5 (October 2016). An updated version of the game is also available: complete with audio, gamepad support, and minor bug fixes. Is it Roguelight by Daniel Linssen? Certainly looks almost exactly like it.